FFP2V(valved for comfortable breathing) V-Fold Flat Disposable Masks is a range of different sized V-fold flat disposable masks. Light weight and comfortable with elasticated straps for a perfect fit. Hygienic and hypo-allergenic. 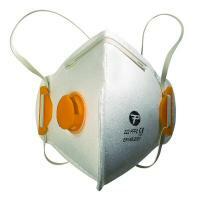 RP06 10 Masks per Box.